We all have our bad habits. Happily, I have far fewer as we approach the close of 2015 than I did in years previous, but there's at least one I haven't been able to give the boot to: my tendency to hoard books I have every reason to believe will be brilliant. I'm still sitting, for instance, on a number of new-to-me novels by Guy Gavriel Kay and Catherynne M. Valente—a pair of my foremost favourite authors. But the knowledge that I'm entirely likely to love the likes of Palimpsest and The Lions of Al-Rassan has led to me saving them for a rainy day; a long-delayed rainy day during which I'll be able to luxuriate in these reading experiences rather than have to rush headlong towards their respective ends. I can now add to that list Three Moments of an Explosion by China Miéville, another of the writers I'm not afraid to place on a pedestal. Admittedly I've already read a fair few of the short stories said collection brings together, but I'm hoarding the assemblage itself—not least because I wasn't sure when to expect Miéville to put out anything else. A boy ran down a hill path screaming. The boy tries to escape. He flees to a gang of local children but they can't help him. The town refuses to see his danger. He is alone. 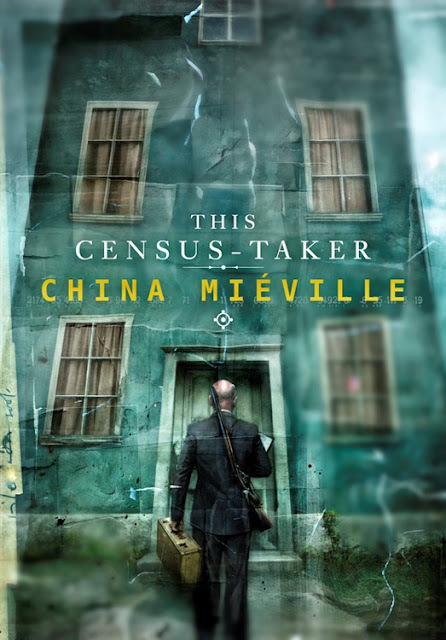 Since I seem to have squirreled away plenty of Miéville already, I'll be reading This Census-Taker just as soon as humanly. You should too, to be sure.